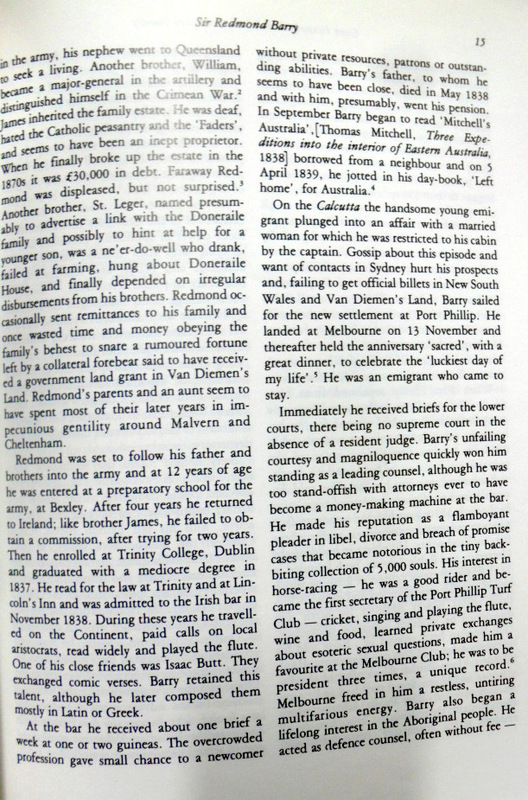 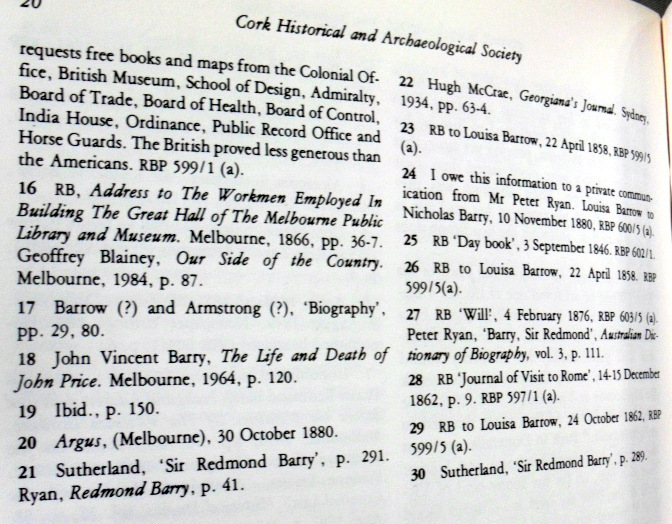 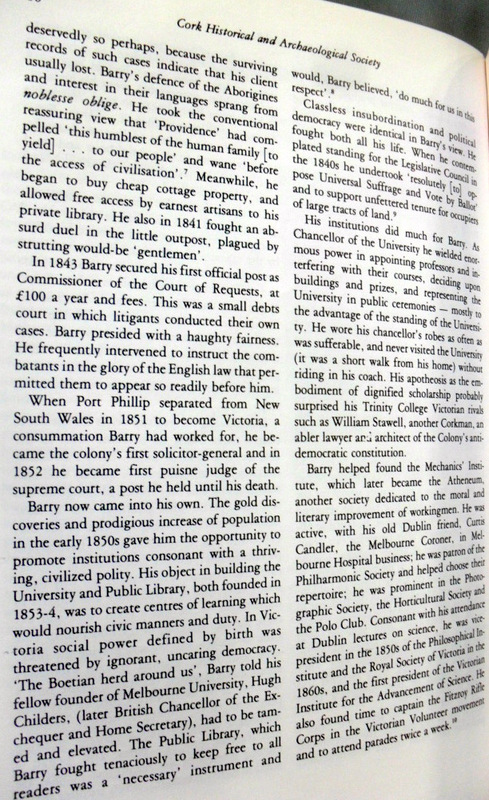 Sir Redmond Barry, Supreme Court Judge, Melbourne, Australia, Judge in Ned Kelly case, Involved in founding University of Melbourne, Art Gallery, Mechanics Institute, Schools of Mines, cultural Societies, Born Ballycough Co. Cork, 1813 died Melbourne 1889. 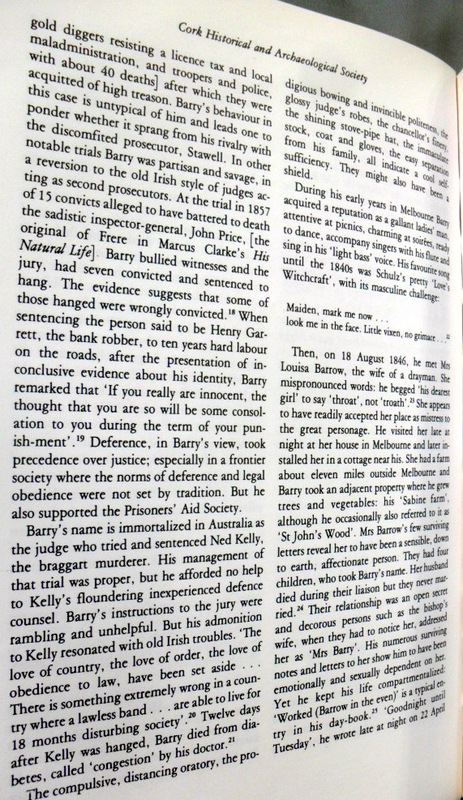 The Redmond Barry Building is a significant building at the University of Melbourne. 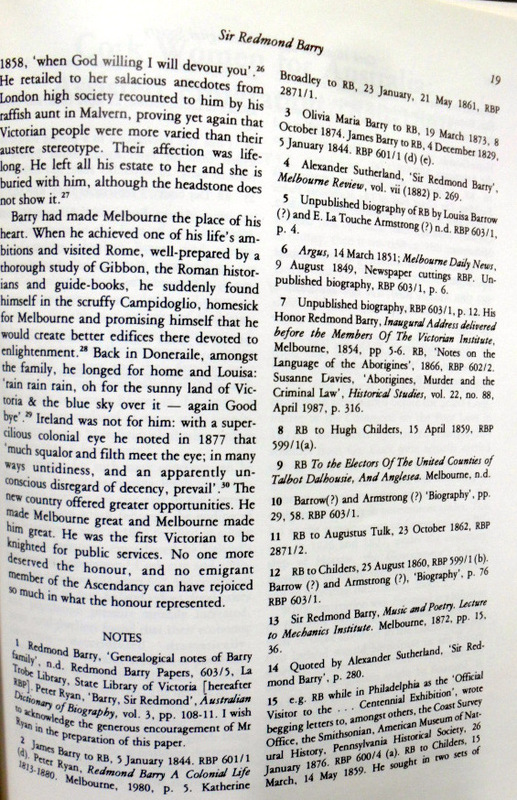 Sir Redmond Barry, Supreme Court Judge, Melbourne, Australia, Judge in Ned Kelly case, Involved in founding University of Melbourne, Art Gallery, Mechanics Institute, Schools of Mines, cultural Societies, Born Ballycough Co. Cork, 1813 died Melbourne 1889. 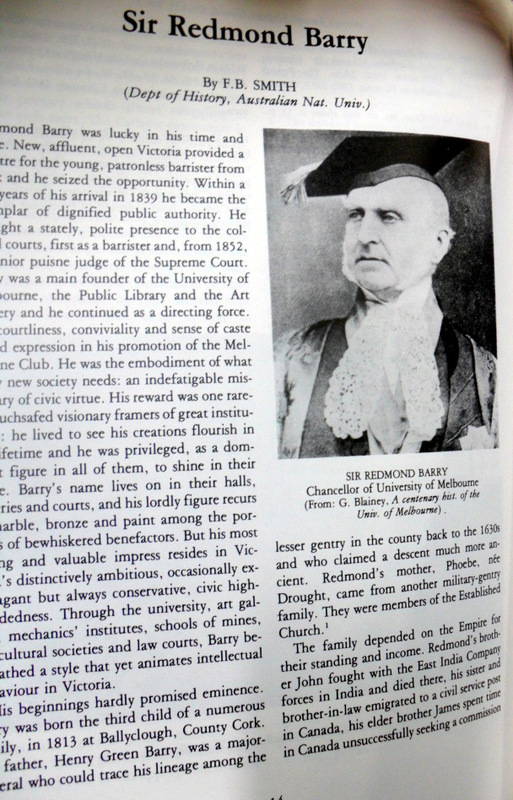 The Redmond Barry Building is a significant building at the University of Melbourne, holding the Arts Faculty I think. 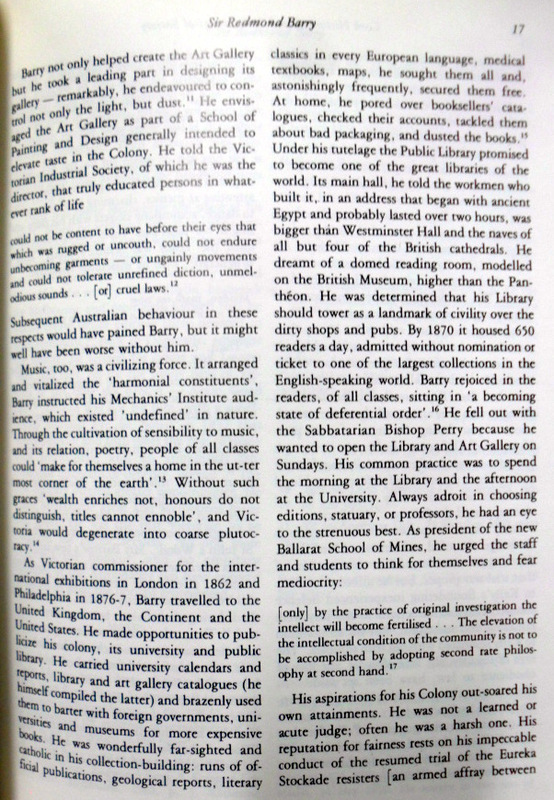 Anyone from University of Melbourne would have fond memories. 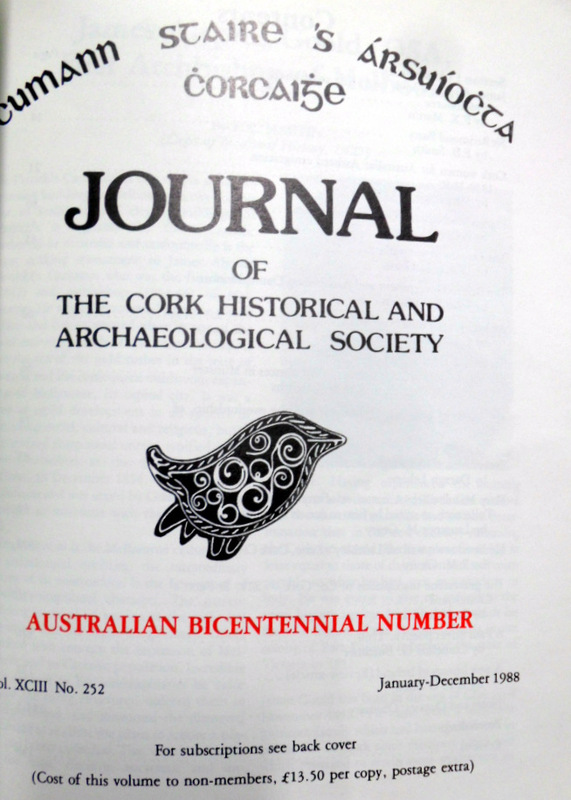 It is nice to tie it back to Ireland.